As I watch my daughter grow and develop and I see the wonder of what her little body can do and the potential her life holds, I am met slap-faced with the realization that what I want my daughter to see when she looks at Mommy and what I see when I look at myself are miles apart. How I see me: Fat. I’d like to sugar-coat but let’s be honest that is the first word I think of. How I want my daughter to see me: As someone who uses her body to bring life and joy to our home and family. How I see me: Inadequate. There isn’t enough of me to go around and in the end someone is always being shortchanged. 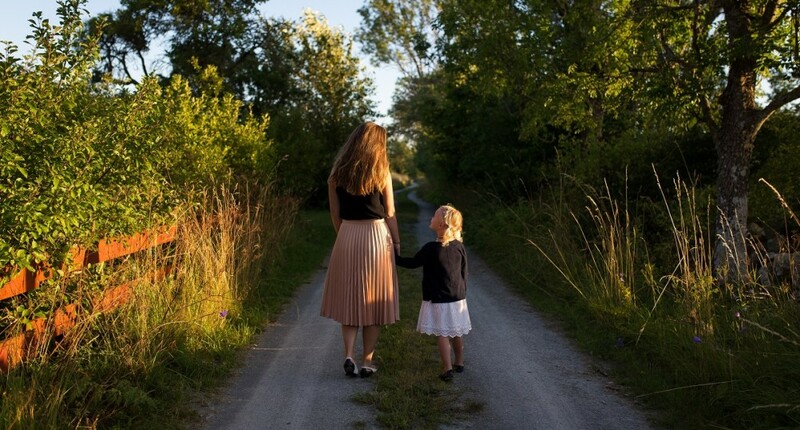 How I want my daughter to see me: As someone wise enough and strong enough to say “no” to good things so that she can invest in the best things. How I see me: Struggling. It feels like my temper and my emotions are constantly getting the better of me. How I want my daughter to see me: As someone who loves with every ounce of her being and recognizes the value of relationships over the inconveniences of living with imperfect people. The reality is that I do need to lose a few pounds so that I can be a healthy influence in my daughter’s life. I do have commitments that sometimes make me feel stretched and torn. I do live in a home with other people and two dogs and it will never be as clean as I would like. (At this point, any kind of clean would be acceptable.) And I’m a woman with emotions that sometimes get the better of me. I don’t want to hide these struggles from my daughter but I want to be an example of keeping first things first. Of being a person who appreciates what she has, while working to be a better me. I want her to see me as someone who relies on God for strength to overcome my fears and face my challenges head on so that ultimately, when my daughter looks at me, she sees him.